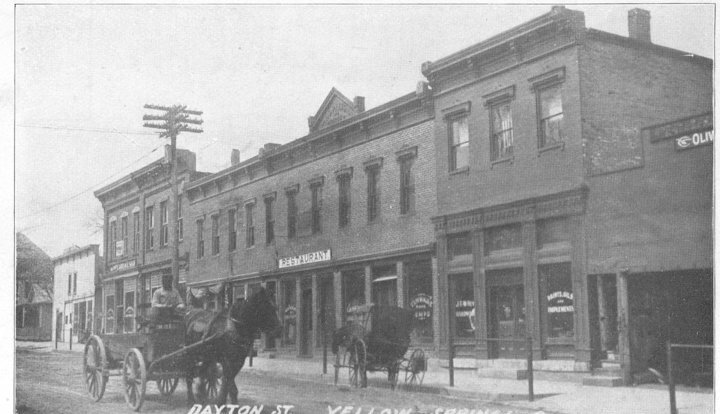 Yellow Springs, a long time ago. I grew up in a small town. Though we had our quirks and craziness, and we were not immune to death and grief, the town felt safe when I was a kid. It has felt safe to raise a kid here, too, and I am grateful to live in a true community, where people see each other, pay attention, and in the ways we can, take care of each other. Having moved within walking distance to town, this summer, I was looking forward to echoing my own childhood: biking with my kid, hot afternoons at the swimming pool, soft serve ice cream, fun. This sense of safety in my own town (yes, “my,” because I have a sense of investment and ownership in this place) is a cozy blanket I’ve enjoyed, and taken for granted, most of my life. But since June, my security has been rocked by several situations that leave me feeling vulnerable. I think back to the moment of Truman Capote’s “nonfiction novel,” In Cold Blood; I think back to the moment when people began locking their doors. 5. Last night, there was a shoot-out resulting in a man dying, less than a block from a house where I used to live. When I think about where to focus efforts for controlling the proliferation of guns, I don’t even know where to start. I know we also need deeper support for people who are afraid, for people who are in (mental, spiritual, emotional, physical) pain. I know it’s more complicated than “guns kill people” but I also know that if it weren’t so damn easy to get guns, guns would kill fewer people. I’ve been brewing a blog post about this soup of summer grief. Today, after the latest event, I am sad and ragged. Sad and ragged for all the people who’ve been hurt and affected by these situations. I wish the bubble were sturdier. This entry was posted in Uncategorized and tagged being a mother, gun control, Ohio, Yellow Springs. Bookmark the permalink.